I thought it was just a college guy thing when we first started dating. Adam would always be dancing the line of being late and being really late. I figured, eh, whatever. We’ll this has not changed and I end up turning into a nag because I hate being late. Likes sweaty palms anxiety hate. So the other day Adam was running on his own schedule again and I was getting annoying, as usual (note: I was actually both annoyed and annoying). I called him out on it, once I realized that this was never going to change, and I decided that Adam is like a tortoise slowly eating a little piece of lettuce. I think he agreed to my analogy. 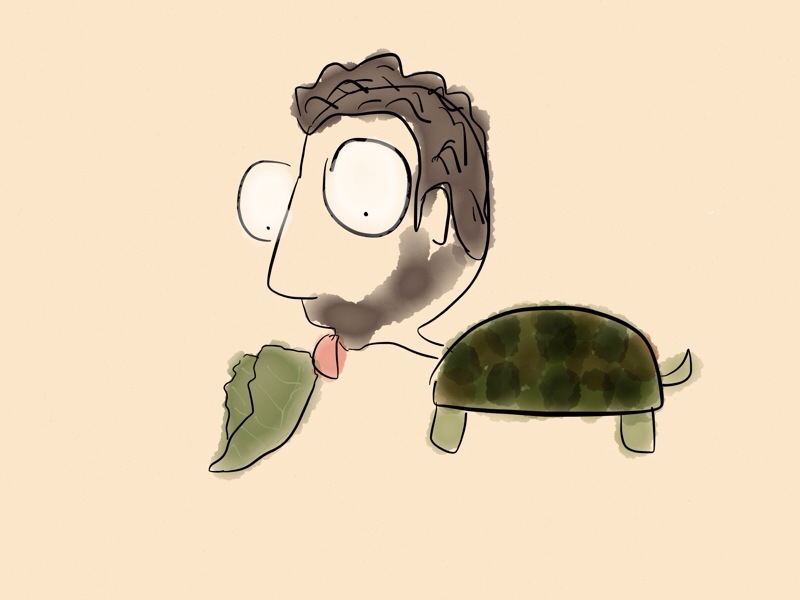 So this is Adam as a tortoise.